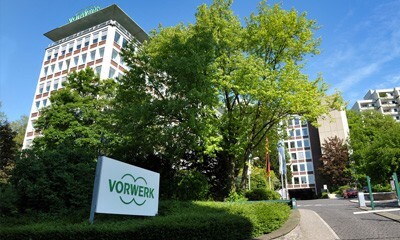 Vorwerk & Co. KG was founded in Wuppertal in 1883. During the course of its 133 year history the company, originally a carpet manufacturer, has grown into a highly diversified, global corporate group. Vorwerk nevertheless remains a family enterprise to this day. Vorwerk Engineering regularly brings highly innovative, new household appliances to market maturity. There are over 120 people on the Research and Development team, constantly working on new ideas of exceptional innovative strength, as witnessed by the large number of patents they have earned. For the Thermomix ® TM5 alone, patents were filed for 151 inventions. These premium Vorwerk products are manufactured at the company’s own production facilities in Wuppertal, Germany and Cloyes, France.